Dark Souls: Remastered Delayed on Switch | Nerd Much? Dark Souls: Remastered was supposed to be a mere month away. But unfortunately for Nintendo Switch owners, that’s no longer the case. Bandai Namco announced this morning that the Switch version of the definitive edition would have to be pushed back. The Xbox One and PlayStation 4 and PC builds remain on track for May. In addition to the game’s delay, the Solaire of Astora amiibo is being pushed back too. Bandai Namco, of course, wants the figure to be released alongside the Switch version of the game. Following the March 8th announcement that Dark Souls: Remastered was headed to Switch, fans were promised a public network test for the game. The free download was said to be hitting the Nintendo eShop “soon”. However, that has yet to materialize. The remastered version of the game boasts a bevy of upgrades from its 2011 predecessor. It packs in the Artorias of the Abyss DLC. It features higher framerate and resolution, with 4K visuals available the PlayStation Pro, Xbox One X and PC. The Switch build is said to have “unique capabilities.” And the multiplayer mode will now allow up to six players across all versions. 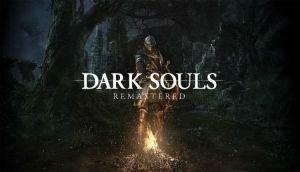 Dark Souls: Remastered will run $39.99 and release for Xbox One, PlayStation 4 and PC on May 25th. Bandai Namco is only specifying a “summer” release window for the Switch version of the game.